Sriz Beauty Blog: Nashta With Gupthaji's Family!!! 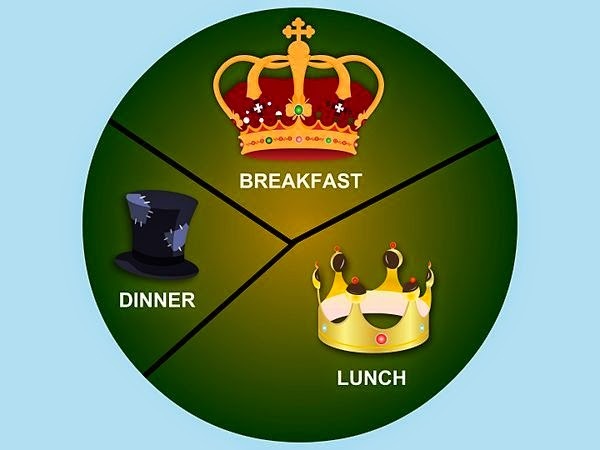 As a famous quote says ''Eat breakfast like a king,Lunch like a Queen and Dinner like a Pauper''.we all know that the breakfast or Nashta is an important meal in a day and should have a combination of good amount of carbohydrates and fiber along with some amount of proteins to be considered as an ideal breakfast and which should not be skipped.But for me preparing breakfast is a big task everyday as there are only a few variants like idly,dosa,upma,poori etc., But after having a glimpse at Gupthaji's family ,breakfast preparation became an super easy task and no more struggling in the kitchen for hours!!! Want to know the reason??? At Gupthaji's family ,we can have tasty and healthy ' Kellogg's Anaaj Ka Nashta ' and the entire family surely know how to whip up the perfect breakfast for every occasion with over 100 mouthwatering recipes.I love each and every recipe prepared by their family because they are not only tasty but also healthy!! !They have various varieties of Nashta for every occasion like jagah Banane wala,Movie wala,homework wala,family wala,tiffin wala,chup karane wala and many more which can be prepared easily and we will have a chance to taste different nashta recipes everyday. 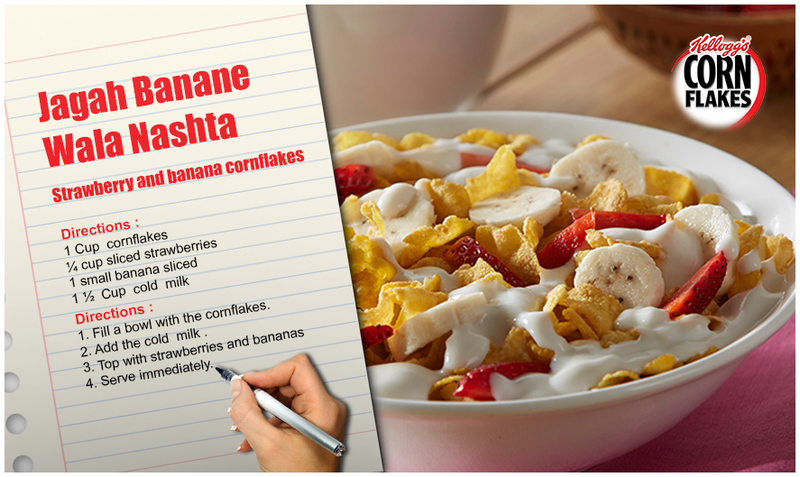 To kick start the day, Gupthaji's family prepares a special Nashta called Jagah Banane Wala Nashta made with Corn flakes, Banana ,Strawberry and cold milk. The recipe is very simple to prepare yet super delicious and healthy too.It has the goodness of cornflakes along with richness of Bananas and refreshing strawberries to add the taste. They also prepare the Cornflakes Popcorn Clusters. 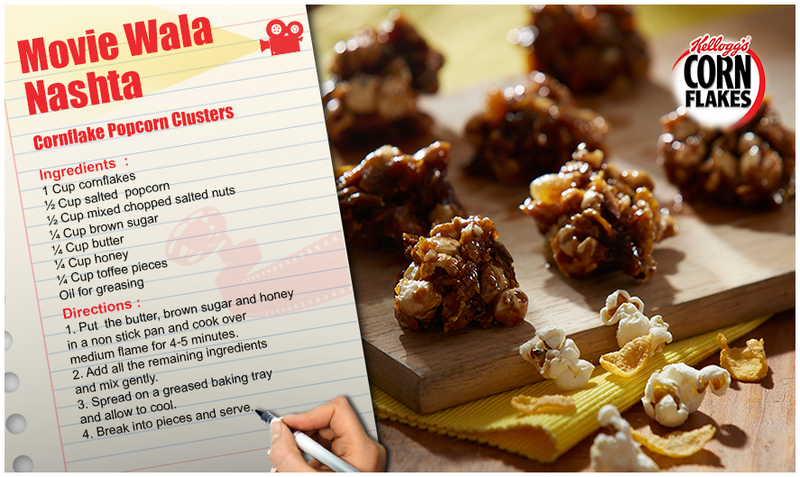 These Movie Wala Nashta are the best to have while watching movies.These Popcorn clusters contains the goodness of cornflakes along with popcorn,nuts,honey and toffee pieces and are the best tasty as well as healthy snacks which I tasted so far!!! 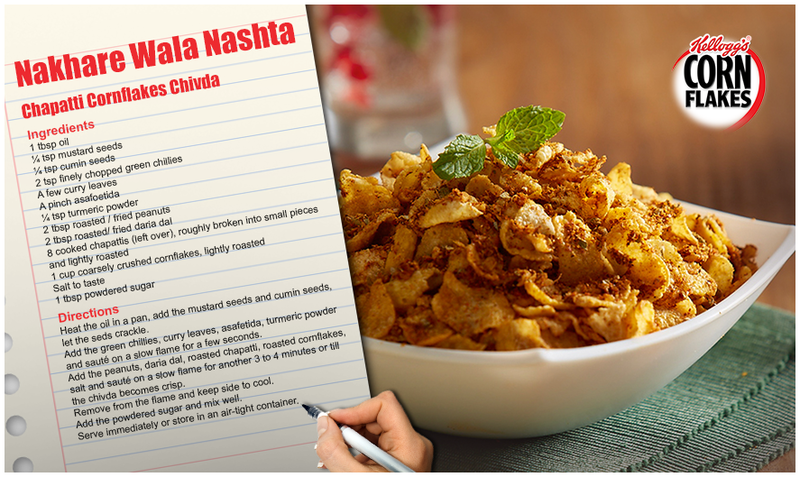 Chapathi Cornflakes Chivda is one of the tastiest snack prepared by the Gupthaji's Family. This is a crunchysnack made wholesome with chapatti power! This Chapatti Cornflakes Chivda is the perfect Nakhare Wala Nashta! 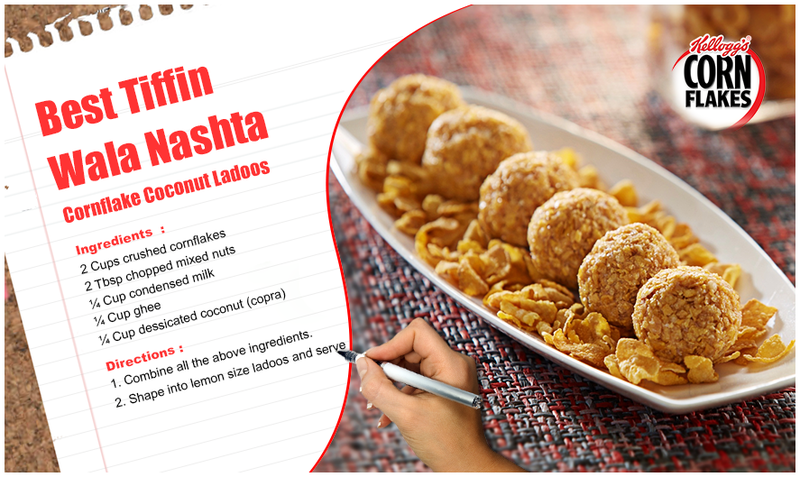 Gupthaji's family can make anything into healthy and guilt free.They add cornflakes to the yummy coconut ladoos to create lip smacking sweet treat! The recipes uses very few ingredients like mixed nuts,condensed milk,ghee,desiccated coconut along with crushed cornflakes.This Best Tiffin Wala Nashta recipe is surely a feast to taste buds!!! After a long tiring day,to get the instant energy,Gupthaji's family prepares the mouth watering Home work Wala Nashta,which goes perfectly with a Hot cup of Tea!!! This is made from all healthy ingredients like cabbage,grapes,celery,fresh cream,curd,lemon rinds along with the goodness of cornflakes. 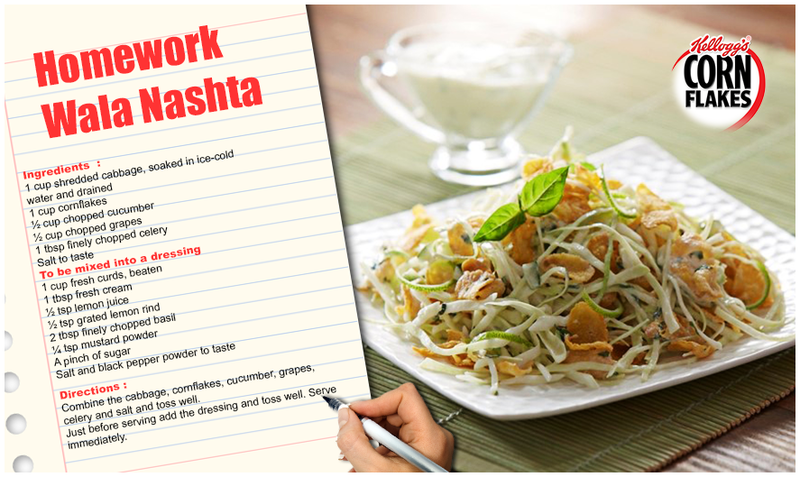 Definitely, this Home Work wala Nashta is a must try recipe!!! Along with these recipies,Gupthaji's family prepares many more mouth watering Nashta recipes,which is why I want to visit them again and again to taste their wonderful,tasty and healthy Nashta!!! Labels: Anaaj ka nashta, kelloggs, Nashta With Gupthaji's Family!! !